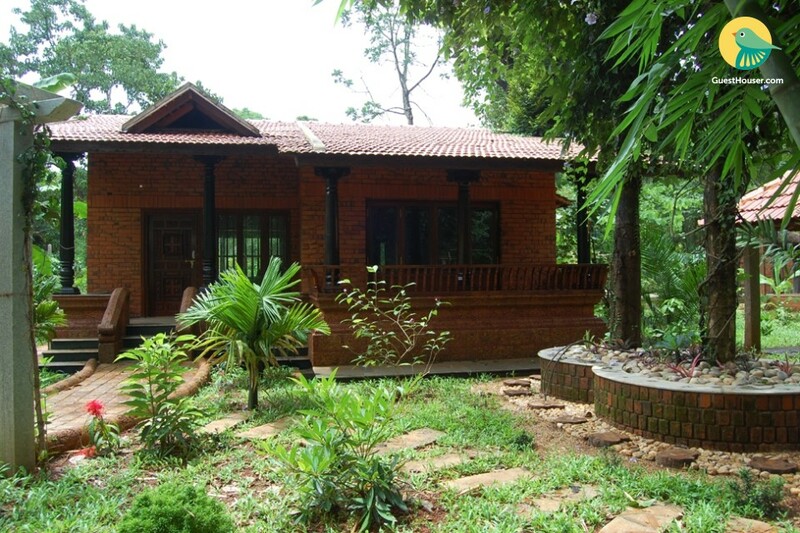 If you are tired of the hustle and bustle of the city and are looking for an escape into serenity, we offer you a luxurious villa, located in the heart of Udupi district in Mangalore. 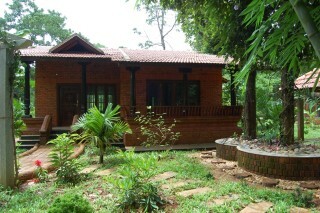 This lavish villa offers you a stay close to nature with complete luxury and comfort. 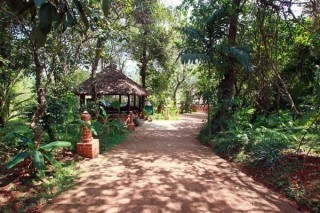 A stoned walkway runs through the lush grass and tall trees, leading to the cottage, through the lush grass and tall trees. Well-furnished with a four seat dinette, a wooden sofa set with a centre table, and a TV to keep guests entertained, the living room of the villa is a great spot to spend time with family. 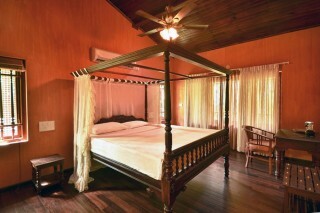 The bedroom has a canopy double-bed with side tables, a writing table with a wooden armchair, and a utility table for the added convenience of guests . 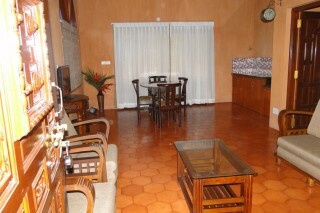 The accommodation also features wood laminated flooring and a hardwood panelled ceiling. The exterior of the villa has been appointed with a wooden swing, which serves as the perfect spot to spend some alone time in peace, curled up with a book. 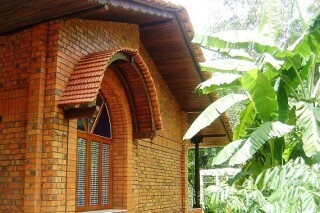 Our villas are made of Portuguese style laterite stones and designed with traditional Kerala architecture. 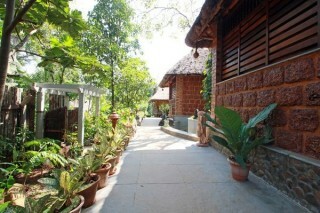 Complimentary breakfasts, fixed menus of lunch and dinner, snacks and tea are really mouth watering here. 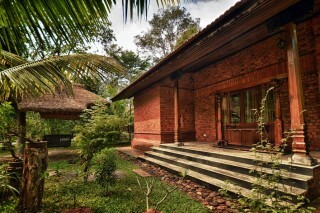 Visit us, stay in our luxury villas in between the natural world and relax yourself from the normal life.